Mimecast Secure Email Gateway is a security solution that offers comprehensive, multi-layered email security and content controls. Work for Mimecast Secure Email Gateway? Learning about Mimecast Secure Email Gateway? 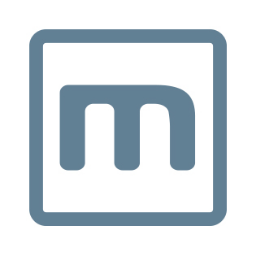 "A little aggressive but gets the job done "
We selected Mimecast as we had no filtering for phishing emails and had experienced a data breach due to a phishing email. Also executives were complaining about receiving phishing emails. I was also impressed by the other threat protection features of Mimecast. Spam levels have dropped to almost zero. Archive is extremely powerful and fast. Our compliance department love it. We can now give access to full email and archive from any device. I have not been allowed to implement some features because they require too much user interaction. The implementation of Mimecast was complex and administering it is not intuitive--it takes time learning it and working with tech support to understand how to do it. It takes tweaking of the settings to get it working as needed and it is a powerful program. It took some time to understand exactly how to work with some of the policies, such as the anti spoofing policy where I had to input lots of IP addresses for all the cloud-based services we use to send emails such as Salesforce, NetSuite, etc. I had to spend time tracking down all the blocks of IPs that these various services use to send emails and put them into Mimecast to prevent emails from being blocked. Spend the extra money and get someone to set it up correctly for you with all the security features or just a user group. We are happy almost 80%, Since we used lot of impersonate mails, spam mails e.g. Account locking etc. Yes i recommend to other users, it is economical solution and solves the critical issues. "Unknown Good and Mild Difficulty"
Mimecast seems to do a pretty good job of filtering out email items like spam and random advertisements because I never see them on my work email. We've had some general issues with it; it will sometimes see an issue with emails from people we've communicated with a lot before. These apparently had little to do with Mimecast and more to do with the other person's email, but it is not intuitive to retrieve emails through. It seems to do a pretty good job at preventing and/or blocking spam and general clutter from my email inbox. It also seems to have a pretty good search feature. It also integrates very smoothly into Microsoft Outlook and does most of its work out of sight. "A straightforward email security platform"
The pricing is not bad and gives us good value. We can set up our Mimecast to meet very specific needs for internal and external compliance requirements. I have generally received less malware and mass marketing emails after the implementation of Mimecast. The virus scanning through Mimecast is done in a quick and intuitive fashion. I like that it can work smoothly with many of our existing office and data systems. Getting set up can with the proper configurations can be a bit confusing. It's not very obvious what the ideal settings are and the customer support team at Mimecast can be a bit vague at times with their assistance. They don't always address our specific issues very well. Though it may seem a bit daunting to get set up with Mimecast, you probably won't have to do much after you get through your initial configurations. Even though it might not seem like you'll need certain things, you may want to check out all the settings to get the most our of your Mimecast account. Mimecast gives us a intuitive platform for added email security. It allows us to have more confidence with our digital communications and sending of important file attachments. There isn't a great deal of maintenance involved on a regular basis. It's essentially somethings that runs in the background that is always at work to help keep us secure. The amount of SPAM emails we received is greatly reduced through Mimecast. "Mimecast Keeps Company Email/Data Secure"
I like that Mimecast has features that protect the integrity of our financial email. It's cyber security features are pretty resilient and effective as we aim to strengthen our cyber security measures. My company has just implemented this into our email systems and so far we have seen a change in the level of spam, spyware, malware and other hacking devices. I think we made a great choice going with Mimecast as it is a terrific company if you are looking for email management. The only thing I do not like but am getting used to is the holding of email until it pushes to outlook. I guess this is protocol to verify outside email but it can be quite annoying as I noticed that some email is held until the end of the work day. I did however, learn that I could go into one of the Mimecast tabs in outlook to find emails that are on hold. No big deal. I think that folks look for email management in a secure way . You should use Mimecast Secure Email Gateway. The Mimecast Secure Email Gateway has provided us with trust and reliability when looking for a better way to manage our critical information in a more secure way. I trust that Mimecast will continue to do great things for our company. If I could put into better words, I would say that this company is totally worth the investment. I see great changes within my organization since it was launched here. We should to get so many emails that would attempt to get private information through false links. But it has seen been much improved with Mimecast. It has taken the guess out of what is real and what is fake. "Mail scanned through European datacenters"
Mimecast had our mail routing configured so that mail was scanned in European data-centers rather than the US, as we were not comfortable with US patriot laws. How easily the product integrated with Exchange Online. The benefits listed below. Suggestions for improvements. The admin console could be simpler to navigate and use. For instance wizards for setting up rules using questions as to what is required. Same for designing and scheduling reports. If you want a reliable, secure, reasonably easy to use, cost effective product to scan email that integrates with cloud mail services and you are concerned about having mail routed through the US, then I highly recommend Mimecast. Most of our mail traffic ie SPAM is filtered out before it reaches our internet connection hence saving on bandwidth, storage, security footprint and with the ability of users to manage their own quarantined messages, administration costs. "Mimecast is pretty fabulous software." The initial setup was very clear and handled excellently. Reliability has been top notch. Response to new threats seems to really be on top of it. Overall a well run company that delivers on its promises. Out of the box defaults perform well, lot's of places to tighten up and tailor it to your needs if needed. Search works very well. Spam filtering works well. The GUI is not my favorite, they have been working on improving it but it still needs work. Exporting archived emails takes longer then I would expect. It's a complex product at times so navigating that complexity is hard. I like the granular filtering of emails, including the ability to filter as specific as one word in the subject line. I dislike the fact that I cant make the determination on my own whether or not an email is rejected. I have had a few users lose emails because the emails were not whitelisted prior to sending and were automatically rejected causing a little down time. Filtering for one of our clients environment because they are HIPPA compliant is very tough, but mimecast makes it a breeze. The ease of use was really the best part of Mimecast. I can get in depth analytics that allow me to really see what my users are doing inside our network with their email. The fact that I can go in depth and troubleshoot where exactly something went wrong is just fantastic. My issue with Mimecast is the fact that the rules are a little bit confusing to start. But they offer some fantastic online guides to help you learn the system. Absolutely use it. Wonderful product and I cannot more highly recommend the customer service. Best in the business honestly. We were getting hit with a lot of spam mail. We received ample amounts of social engineering email but that is an issue of the past thanks to mime-cast. I work with sensitive customer information all day every day. My colleagues and I need a secure and efficient way to share customer data and mine-cast allows us to do that. Easy to use GUI, once you get used to the layout you can add favorites. Lots of features/functionality and it can sometimes take a while to figure out configuration you would like to change. "You have to pay attention to the status"
It filters out almost all of the SPAM. If you often delete emails from a specific sender without reading them, Mimecast will start filtering them and give you the choice of whether to release it for this instance, or allow from the sender all of the time, or block completely. Watch the status. You may have to log in again, especially after your IT manager deploys an update. "Business Emails getting stuck at gateway"
"Use on work email account"
The analytics report summary of how I spent my week. Wish the reports were more detailed besides just showing the meetings I was in. It allows you to quickly do an email search when looking for something specific. "Excellent Product for Office365 Cloud"
Mimecast filters out emails I don't want. I dislike that my IT department has limited the quarantined email summary to once a day. it is very easy to see what is being caught and to release single messages or permit all messages of a type to get through. it can sometimes take to long for it to capture and the notify you of potential spam. We were looking to reduce spam and prevent malicious email communication. We have significantly reduced spam and malicous email communication. It reduces my overall spam intact. I like the digest feature where you get one email with multiple emails you can either release/permit or block. It occasionally pulls in blogs or other association emails or groups that I subscribe to that are not spam. Reduces the total amount of spam across our entire organization. I enjoy how organized Mimecast is. It’s easy to navigate and very straightforward. I don’t like the notification system. With our email program it continuously notifies me, even after opening the message. It helps keep our email secure. A benefit I’ve noticed is it blocking out the unwanted and unsafe emails. "Good performance, niche use case for most"
clean interface and a useful archiving feature. For most use cases, does not expand much on what competitor products do. Make sure it fits with IT strategic vision. * We monitor all Mimecast Secure Email Gateway reviews to prevent fraudulent reviews and keep review quality high. We do not post reviews by company employees or direct competitors. Validated reviews require the user to submit a screenshot of the product containing their user ID, in order to verify a user is an actual user of the product. Hi there! 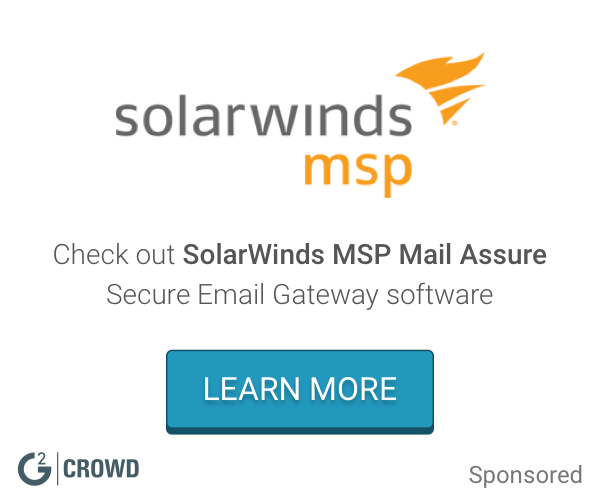 Are you looking to implement a solution like Mimecast Secure Email Gateway?